Custom mug printing is a great way to create personalized gifts and promotional items for your business. However, it’s not easy to create a durable print on the mug surface and companies use different techniques to transfer the print onto the slippery, glass like surface of a coffee mug. These printing techniques have their advantages and disadvantages and some techniques cost more than others. Here’s a brief explanation about custom mug printing techniques from Ezy Mugs. The process of pad printing is easy to explain; printers create a silicone pad in the design you want and cover it with ink. The pad is then pressed against the surface of the mug and the pattern is transferred onto it. The ink is allowed to air dry naturally. – It can be used on many surfaces, including the curved surface of the mug. – Pad printing is very affordable so the custom mug wouldn’t cost as much money. – The resulting print is very accurate and clear. – It’s a slow process and it takes time to achieve accurate results. – Different colours require different applications of ink so the process is very exhausting. – There’s a risk of registration of colours, which would distort the print. This is a very old style of printing and has been around for hundreds of years now. It involves ink-blocking stencils in the pattern you want. The ink is padded on to the surface after the stencil is applied. – This technique is great for larger designs and bold prints. – It’s mostly automated and can be done quickly. – This technique isn’t ideal for intricate designs or prints. – Multi-coloured designs take more time and effort, which can make the printing process expensive. – It’s not easy to clean after printing. Wrap around print is ideal for mugs because it wraps around the circumference of the item. The process of printing can vary, but most use sublimation or pad printing for this custom mug printing process. – Ability to utilize all of the surface area of the mug. – More difficult to create so it’s relatively expensive. – Design can become distorted if it’s not chosen correctly. Most printing companies choose techniques based on the design you want. If you have a complex design, they’ll use techniques like sublimation, which involves printing a striker and applying it on the surface before heating it to transfer the pigments. This is the most common techniques used by modern printers. 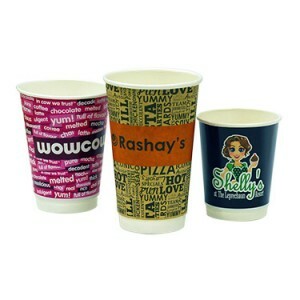 If you want to give our custom mug printing a try, you can easily place an order with us at Ezy Mugs. We’re an Australian-owned and operated company that can deliver products to any corner of the country if you order a minimum of 36 pieces. Have any questions and comments? Feel free to contact us through our website or give us a call on 1300 753 675. We’ll be happy to help you in any way possible.